Ganley Aurora proudly offers Ohio car buyers two dealership locations where you are sure to find the Chevrolet, Chrysler, Dodge, Jeep or RAM vehicle you want. By having two car dealerships to serve you in Aurora, OH, we can cover every base with the exciting supply of new and used cars. At Ganley Aurora in Aurora, OH, it is our goal that when you visit our Chevrolet dealership or our Chrysler, Dodge, Jeep, RAM (CDJR) dealership, you find an automobile that will become part of your family. When you do, you'll be even happier to realize that you bought your new car at a competitive price. We offer two strategically located dealerships in Aurora, OH, because we want to make it easy for local car buyers to schedule maintenance and get pre-approved for automotive financing. 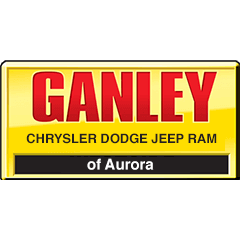 While we have you here at our website, click on either of our Ganley Aurora dealership pages and browse through our complete inventory. Our website is regularly updated so you can feel confident that the car you are reading about will be here when you arrive for a test drive. Our two Ganley Aurora dealerships are proud to offer an exciting stock of new Chevrolet and CDJR cars, trucks, SUVs and work trucks for sale. We have the powerful, new Chevy Tahoe at Ganley Chevrolet of Aurora for your hauling needs or the new Chrysler 200 at Ganley Chrysler Dodge Jeep RAM of Aurora for your everyday commute. 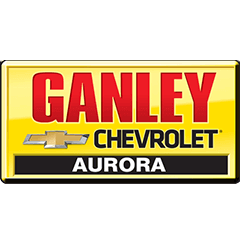 Whatever Chevrolet or CDJR vehicle you need, Ganley Aurora is sure to have it at one of our two Ganley Aurora dealerships. Our staff of friendly and knowledgeable sales associates is here to tell you all about the various model options and trim packages available on your new car. Visit us today and discover a zero-pressure car buying experience. With two Ganley Aurora dealership locations to serve you, we make it easy to find the used Chevy or CDJR you are looking for in our impressive selection of pre-owned vehicles. You should know, that before any used car finds a parking space at either of our Ganley Aurora dealerships, it undergoes an extensive, multi-point inspection to guarantee correct operating specifications. Test drive a used Dodge Charger today and let the all-wheel drive sedan take you where you want to go. You have done your research, kicked some tires, and gone for a test drive. Now, it is time to buy your next new or new-to-you automobile from Ganley Aurora. We proudly offer automotive financing at each of our Ganley Aurora locations. You should also be aware that at Ganley Aurora, we value your trade-in vehicle and extend fair, market value. When you are ready to make your purchase but are nervous about your credit situation, ask one of our finance associates to tell you all about the bad credit financing options we offer. We are proud to be a bad credit car dealership and are experts in finding you a finance rate you can manage. To keep your new car from Ganley Aurora operating in the same way that inspired you to drive it home, regularly performed service is essential. Following manufacturer recommended service intervals will help preserve and extend the life and operating condition of your vehicle. We want to help ensure that you enjoy your car or truck tomorrow as much as you do today. The next time your car is due for an oil change, brake service, or fluid top off, see us at Ganley Aurora for service!